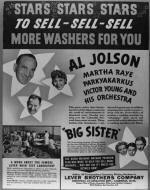 Al Jolson appeared on radio many times, sometimes as a guest star, but mostly on his own radio shows (five in number). Jolson's first radio show was on NBC, late on Friday nights, from November 1932 through February 1933. It was sponsored by General Motors and Chevrolet and lasted for fifteen broadcasts. 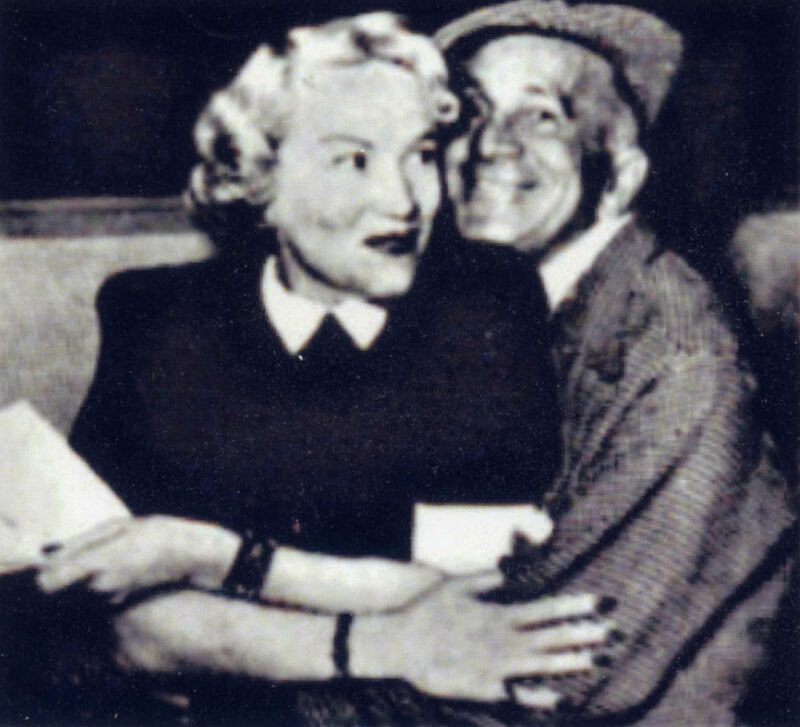 Little more than two years after this show had ended, Al Jolson reappeared on Saturday nights as the master of ceremonies in "The Shell Chateau," a radio show sponsored by Shell Oil. This show was on NBC radio and lasted from April 1935 to March 1936. For the first twenty-six weeks, the show originated out of New York; the final thirteen were broadcast from Los Angeles. By clicking on this earphones icon, you can hear the introduction to the Shell Chateau broadcast of August 3, 1935. 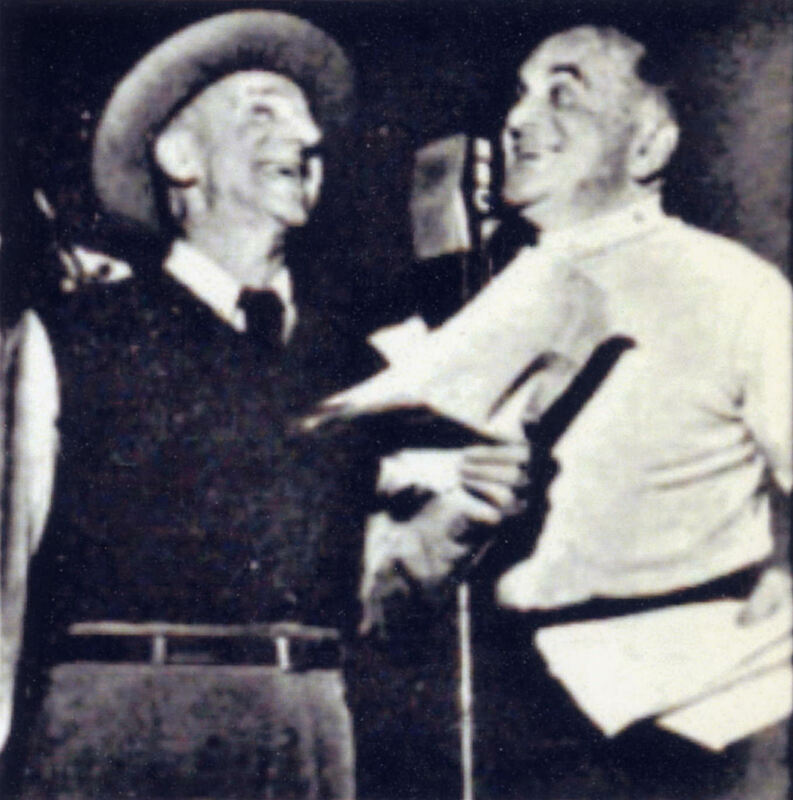 This broadcast included a ten-minute monologue by guest and Jolson friend George Jessel. 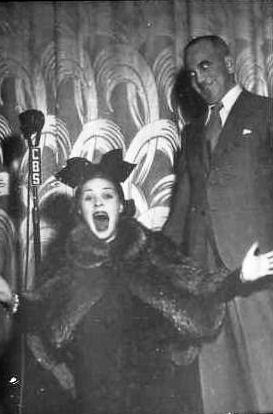 Hear an excerpt of the September 14, 1935 show with comedienne, singer, theatre and film actress, and entertainer Fanny Brice. 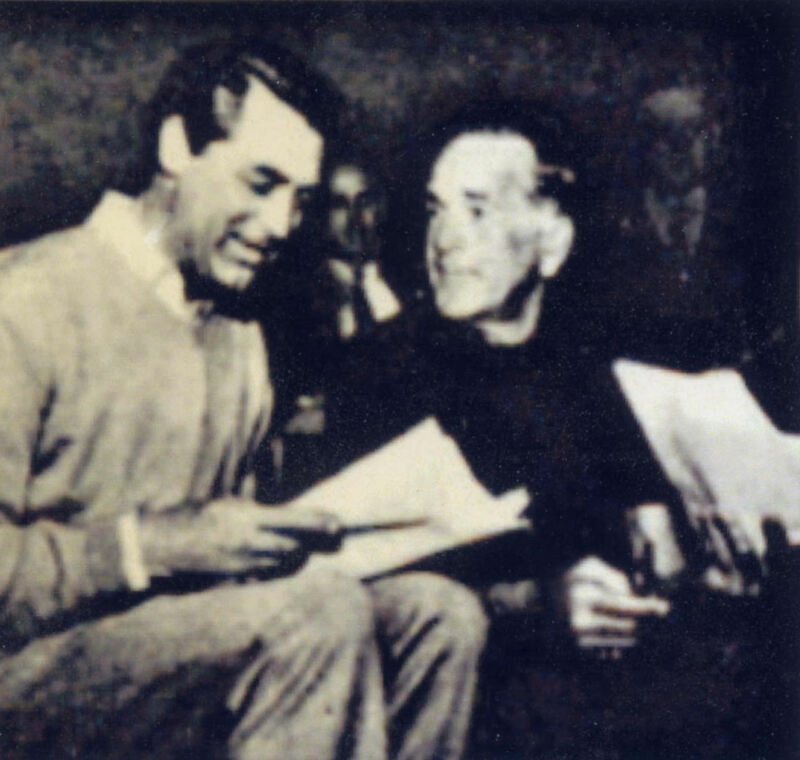 Jolson asks Brice to sing once again the song she was most commonly associated with, "My Man." To hear Fanny Brice sing "My Man," click on the earphones icon. From late 1936 to early 1939, Jolson also hosted CBS's "Lifebuoy" program. 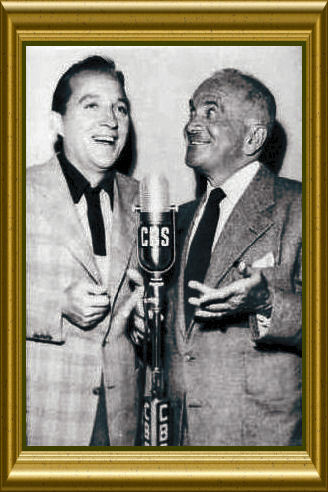 Originally the program was titled "Al Jolson's Cafe Trocadero" and was sponsored by Lever Brothers Co; there were ninety-nine broadcasts of Trocadero. Separate performances were given on Tuesday evenings for the East Coast and West Coast, at 5:30 PM and 8:30 PM, respectively. Martha Raye and Sid Silvers were regulars on the program. Silvers left after a few broadcasts and was replaced by Harry (Parkyakarkus) Einstein. Some of the program's guests were Fay Bainter, Zasu Pitts, Peter Lorre, Jackie Cooper and George Jessel. Unfortunately, there are only a small number of transcriptions available for these shows (you can listen to some show snippets, as well as purchase some of these recordings, through the International Al Jolson Society.) Here, at the Museum of Family History, you can listen to the introduction to his show of October 18, 1938 (featuring Marie Wilson and Charlie Butterworth) and hear Jolson sing the song "When the Day is Done." Just click on the earphones icon. 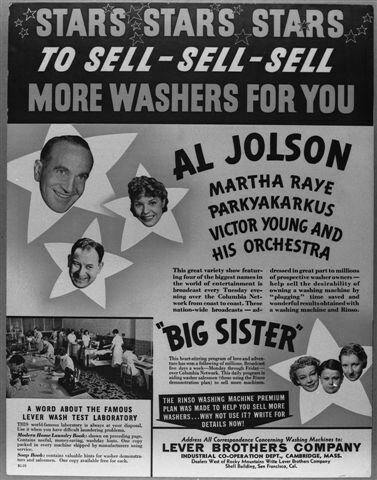 Between October 1942 and June 1943, Jolson starred in his fifth radio program, also on CBS, this time sponsored by Colgate Tooth Powder. Though the program initially was broadcast from New York, it eventually moved to Los Angeles. As was done for the Lifebuoy program, separate performances were done for both the East and West Coast audiences. Monte Woolley and vocalist Jo Stafford were program regulars. Click on the icon to hear a Monte Woolley-introduced medley of eight George Gershwin songs (show of January 5, 1943) as sung by Al Jolson. To hear a splendid version of Jolson singing "Sonny Boy" on his Colgate show of January 12, 1943, please click here. Jolson first introduced "The Kraft Music Hall" to NBC radio listeners in 1933-4, though he assumed the starring role in this broadcast in October 1947. The KMH broadcasts of thirties played its run of twenty-six shows and could be heard from 10:00 to 11:00 p.m. on Thursday nights. His second go at the Kraft Music Hall was also on NBC every Thursday night, but this time at 9 p.m. EST for thirty minutes. This show ran seventy-one broadcasts from October 2, 1947 to May 26, 1949. Pianist Oscar Levant would appear on most every show. For nearly seventeen months, Jolson featured many stars from stage, screen and radio on his program. His first show's guests included Edgar Bergen and Charlie McCarthy. 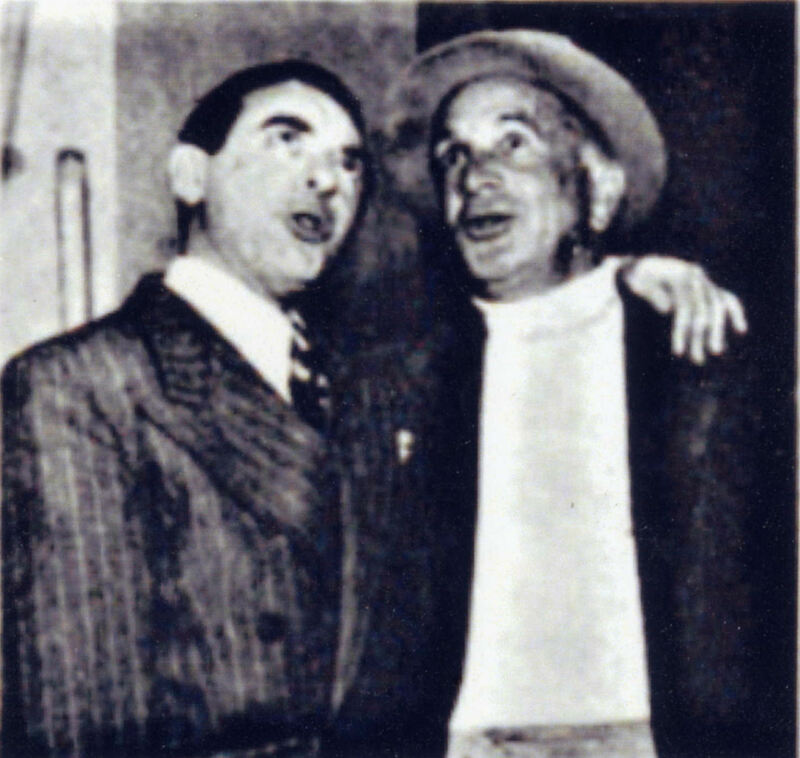 Opera singer Dorothy Kirsten appeared on Kraft Music Hall the most often (seven times), Groucho Marx appeared six times, pal Jimmy Durante four. To hear some excerpts from the Kraft Music Hall, just click on the earphones icons that appear with each named clip: First, you can hear the typical intro to the Kraft Music Hall broadcast. 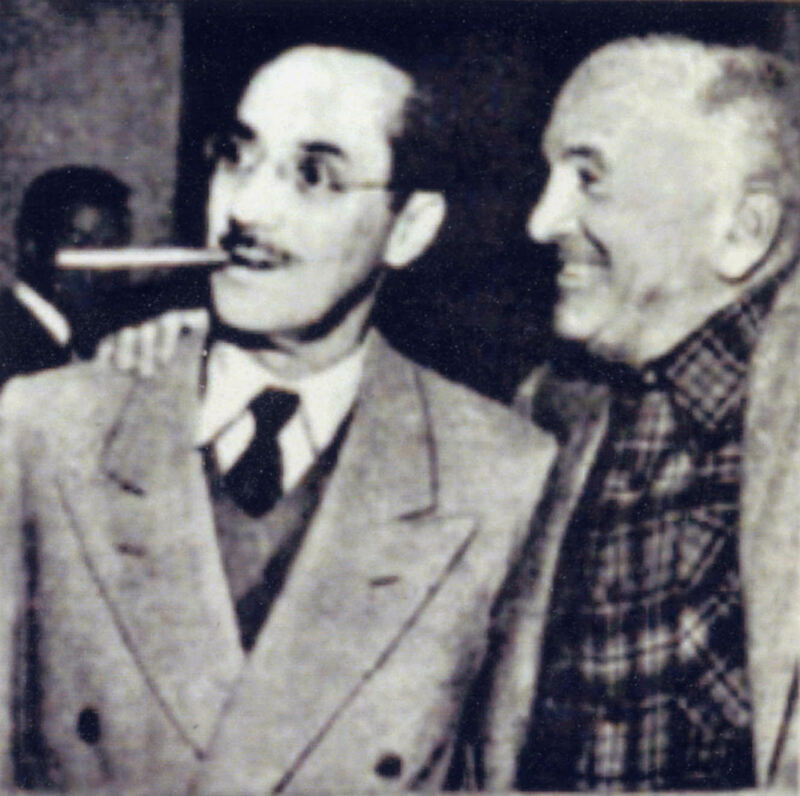 You can also listen to an excerpt from the show of January 13, 1949 with guest star Groucho Marx (his fourth appearance on the show.) In this particular show, Groucho, who in this skit is in the fur business, tries to sell Al Jolson a fur coat . In the show, Jolson also sings three songs: "That Certain Party," "I'm Crying," "Latin from Manhattan," and he ends the program with "When I Leave the World Behind." Just click on the earphones icon to hear the final song.